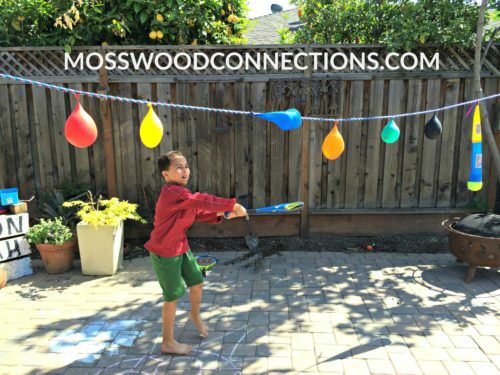 When I signed my son up to join our local baseball team I knew that baseball wasn’t really his “thing” but I feel like it is important to expose him to a variety of activities. I quickly realized that some of his indifference to the sport was because he did not feel successful. His visual tracking skills are not well developed yet which made hitting the ball a bit frustrating for him. Since we work with children who have special needs we are very aware of the importance of good visual processing skills. That’s when we came up with the idea for Pendulum Water Blast: a visual tracking activity. Rather than just giving up on this opportunity for him to be involved in a team sport we decided to work on the skills that he needed to be successful. In this case, visual tracking. Visual tracking is the ability to quickly and accurately look (fixate), visually follow a moving object (pursuit) and efficiently move our eyes so we can fixate on objects from point to point (saccades). It’s a skill we use every day to explore our surroundings, play sports, and in reading and writing which can affect academic performance. 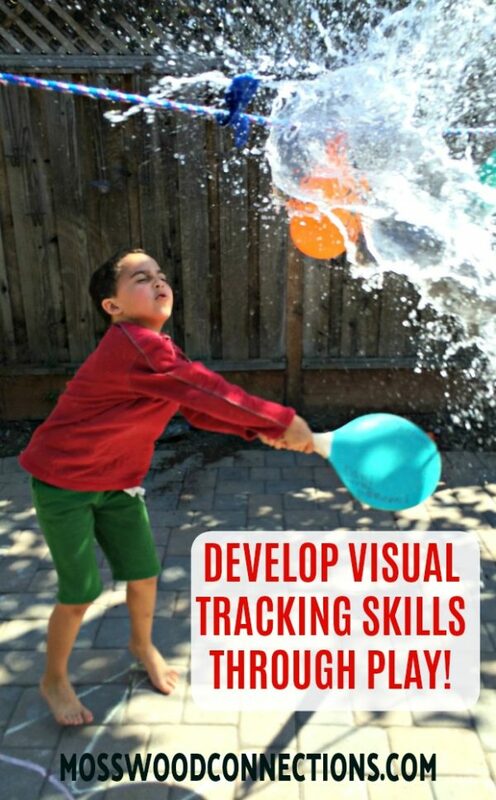 Amazingly, his skills absolutely improved after playing Pendulum Water Blast: a visual tracking activity. Hang a clothesline or rope across a wide area where the children will have plenty of room. 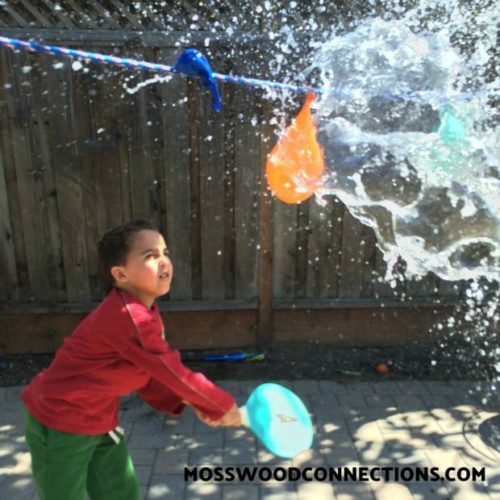 o Fill balloons with water and hang from the line. o Practice hitting with different toys. o You can write letters on the balloons and give directions for which balloons to hit. For example, hit the balloon with the letter “A” then “B”, etc. Progress developing visual tracking skills! Since we played this “Oh, so fun” visual processing activity I am happy to report that my son enjoyed baseball much more this season. Perhaps some of the increased enjoyment was because he was a year older but I believe that some of that change was due to finding a fun way to develop his visual tracking skills.